I worked very hard to take down walls that I put up over the years when I was in therapy. Walls act as protection from hurt in a psychological way. They also can physically protect you in a house building way. All of this is to inform you that we now have walls. 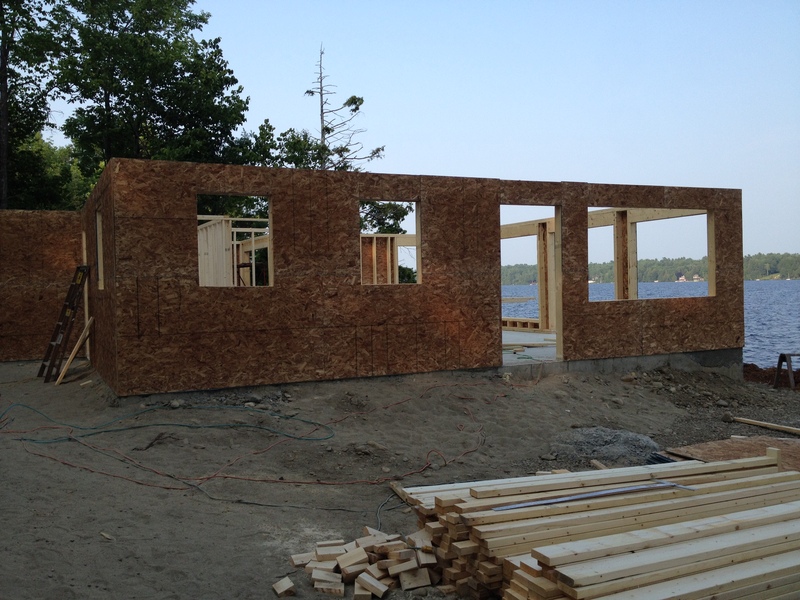 Despite a really warm Maine summer day today, Tom and his crew and my handsome fiancé built more walls. 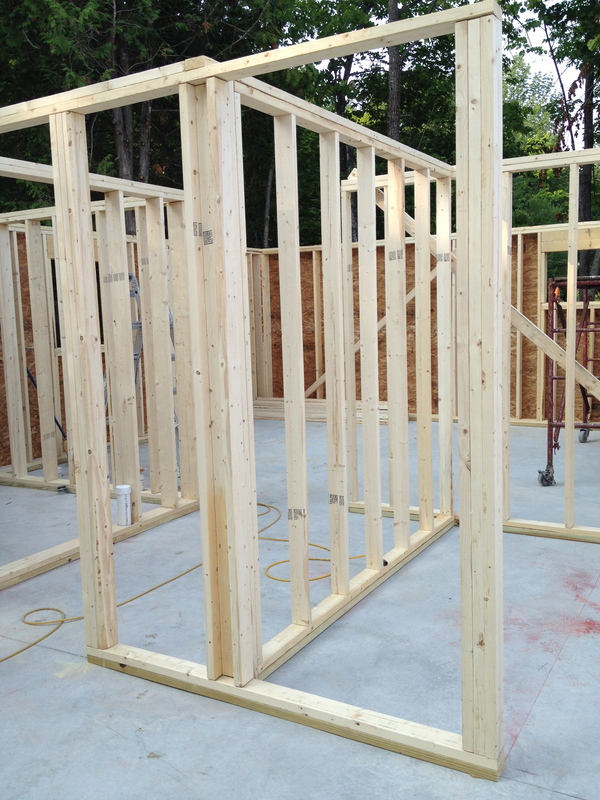 We have framed the first floor. I can now get an idea of how my bedroom will look. And the front hall. And the huge windows in the living/dining room. It’s really exciting to see it all coming together. Tomorrow they will add the beginnings of the second story. I know that when I get home from work there will be more progress to see. More walls will be going up. I used to think I was making progress bringing walls down but now I’m excited to have walls going up. Ain’t life grand? 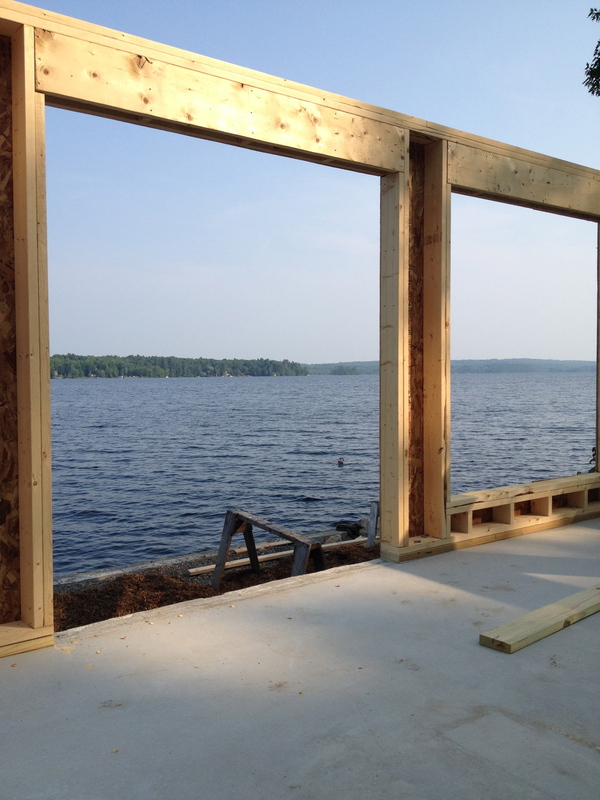 This entry was posted in Building a Home, Uncategorized and tagged home, home building, I'm healing my heart, Maine, Messalonskee Chronicles, therapy, Walls, Working on myself on July 16, 2015 by lindarockwell3.